Maharaja Ranjit Singh had consolidated his empire by the age of twentyone. His quest for knowledge, both to better his empire and his army, continued unabated. A contemporary of Napoleon, he was greatly interested in the happenings in Europe, the wars, military organisations, tactics, and weaponry. His inquisitiveness, verging on impatience, was geared towards improving his military arsenal and capability, and thereby his military strength and efficiency. He had the hostile Afghans on the western border and a potential threat, the British, in the east. No matter how friendly and conciliatory the British attitude was at that time, their conquest of the rest of the Indian subcontinent indicated their ultimate objective – the subjugation of his kingdom at an appropriate time. This period coincided with the end of the Napoleonic wars and a number of European soldiers of repute, formerly of the French Army or those of their allies, looked east in order to soldier on. Persia became the destination for many as Ranjit Singh’s reputation had not reached the continent till then. Once in Persia, however, tales of Ranjit Singh and stories of his kingdom and his military prowess drew many to Lahore to offer their services to him. 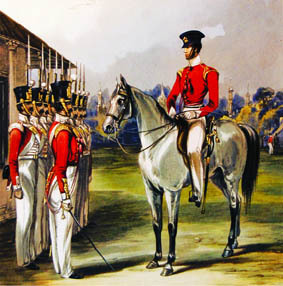 By the end of his reign in 1839, thirtynine European officers, including six generals, were in his service. In addition, there were three doctors. 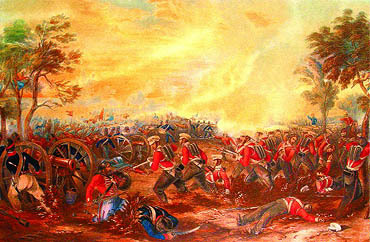 The first reorganisation on modern lines and consolidation of the Lahore Army took place in 1822. The entire emphasis then was on cavalry and artillery. The infantry component was geared towards garrison duty. Sikhs in those days were great horsemen and as a consequence the emphasis was on the cavalry. It was only after the arrival of the European officers and Ranjit Singh being convinced of the role the infantry played in the major battles fought between Wellington and Napoleon, both during the Peninsular wars and in northern Europe, that the infantry was reorganised along the lines of the European armies. As a result, its role in battle was recognised by the Sikhs, many of whom then opted to join it. 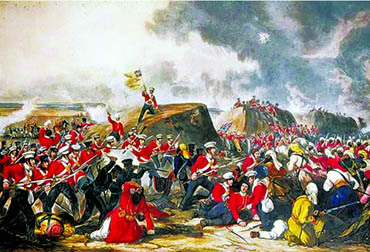 Soldiers of 31st Foot attacking the Sikh guns at Mudki, December 18, 1845. Ranjit Singh’s leadership and army were respected by the British, and they, therefore, preferred him as an ally, till such time that they had consolidated the rest of India. Even more importantly, they considered him a natural ally in keeping the aggressive designs of the Afghan rulers in check. As a consequence, a mission led by Charles Metcalfe (later Lord Metcalfe) visited Lahore in 1809 and a treaty of friendship was entered into. Ranjit Singh, in turn, respected British military capability and adhered to the Treaty of Amritsar for the rest of his life. He was a realist and a politically astute man and knew his strengths and shortcomings. 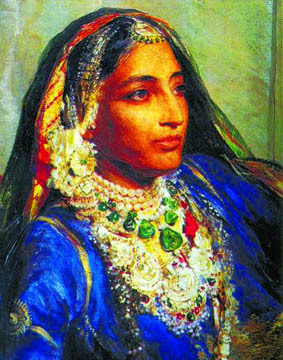 Maharani Jinda Kaur, Regent of the Lahore Durbar (1843-49). "General Officers have been selected from sons of sardars who have had their children carefully trained in the European system of military tactics. They are generally very young men, not more than seventeen years of age, and some of them whom I have seen are remarkable for their military spirit". In 1836, after Ranjit Singh suffered a stroke, he appointed General Ventura, in whom he had developed implicit faith, to an appointment called ‘Chief General’. What precisely his task was is not clear, he was perhaps a chief of staff or a deputy, as in armies today. As he had been partly incapacitated due to the stroke and his health was a concern, Ranjit Singh perhaps felt it necessary to do so, in case a battle was thrust upon him while he was indisposed. "... the Sikh Army possesses one great advantage over our own – the ease with which it can be moved. No wheel carriage is allowed on a march, their own bazaars carry all they require; and 30,000 of their troops could be moved with more facility, and less expense and loss of time, than three Company’s regiments on this side of the Sutlej`85"
Before Ranjit Singh, the Punjab had enjoyed international reputation in the seventh century during the reign of Harshvardhana of Thanesar due to the visit of the celebrated Chinese pilgrim Hiuen Tsang. After 12 centuries, it once again came into the limelight under Ranjit Singh, mainly on account of the Sikh Army, which was equal to any armed force in the world at that time. Mohanlal Kashmiri, a young man of 20, during his travels in Central Asia in 1832 happened to attend a royal durbar at Mashad in Iran, on a national festival day. The presiding prince was Abbas Mirza, father of the king of Iran. The prince asked Mohanlal whether Ranjit Singh’s court vied in magnificence with what he now saw before him, and whether the Sikh Army could compare in discipline and courage with His Highness’s Sirbaz (regular Iranian troops). Mohanlal replied modestly but firmly that Maharaja Ranjit Singh’s durbar tents were made of Kashmir shawls and that even the floor was made of the same expensive material; and as for his army, if Sardar Hari Singh Nalwa were to cross the Indus, His Highness would soon be glad to make good his retreat to his original government of Tabriz. With this army, Ranjit Singh carved out his Punjab, as it was in 1947, from an entirely hostile environment west of the Sutlej river. A man full of foresight and intelligence. A man who used cunning, treachery and ruthlessness, along with diplomacy and the military might he created, to achieve what he did. Die all mortals must, but few leave a legacy like Ranjit Singh, creating, consolidating and ruling a vast kingdom for 42 years with these extraordinary qualities and an iron fist. 1, Perhaps the only book by indian writer where balanced view of personalities have taken. 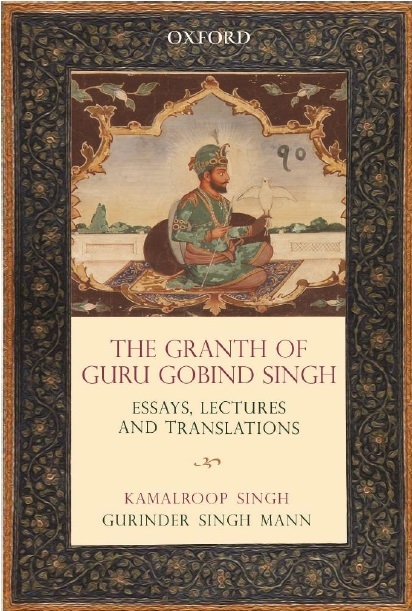 Most of the writing of Sikh history relied on the books published earlier,rather carring out studies in dept& revealing new findings. Ranjit Singh has been the most successful King of India who created faith & fear in correct proportions amongst his countrymen. MAharaja Ranjeet Singh , had with him an able General Gurmukh Singh Lamba, who grew up with him and was instrumental in conquest of Kasur, Multan, Attock and Kashmir.He defeated the Gakhars in 1825 and took possession of the Rohtas fort. However his bitter animosity with the Gulab Singh and the dogra Sardars saw him lose the Rohtas Fort to them along with most of his property. But MAharaja Ranjeet Singh willed the fort to him in his will. ( Punjab's Chiefs authored by Sir LEpel H. Griffin). GEn. Gurmukh Singh Lamba or Lamma took his name after defeating MOhar Singh lamba. LAmba inplies tall and GUrmukh Singh was the man of medium stature. Gurmukh Singh was also the keeper of the royal treasure trove of KAshmir, which was hidden in the fort of Qila Attar singh and was later found out in 1951 after partition and was confiscated by the then Pak. Govt. Gen Gurmukh Singh was succeeded by his son Attar Singh and he held a Riyast or Estate in Pindilala, Phalia, Distt. Gujrat, MAndi BAwaludin, Chellianwala & Qila Attar Singh. General Sardar Gurmukh Singh Lamba who commanded Fauj-e-Khas was wounded fifteen times,eight by market balls,thrice by swords cuts,thrice by spear thrusts and once by the arrow.He was recipient of highest military award IZAZI-E-SARDARI.His sketch portrait painting is displayed at Central Museum Lahore at serial D-40 with caption.His popularity was sore cause of enimity with Dogra Rajajas,Gulab and Dhain Singh having considerable influence over Maharaja.He defeated their father Main Kishora Singh.On death bed Maharaja felt guilty of his act ordered his son Kharak Singh to restore sardar power and honour who was through out his life honest to sarkar Khalsa. Caption D-40 Central Museum Lahore and punjab Chief-Sir Leppel Griffen.